While no one gets particularly excited about the idea of going under the knife, we at Mid Wilshire Dentistry want you to be as knowledgeable as possible going into a potential procedure so that both the surgery itself and the recovery phase go smoothly. After all, much of the discomfort of undergoing surgery is the fear of the unknown. 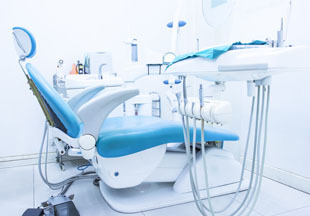 Here are a few of the more common types of dental surgeries that our office provides. Wisdom teeth show up in the far back of your mouth and are the last of your permanent teeth to develop. Some people have room in the back of their mouths to accommodate them and have no issues with their eruption through the gum line, but more often than not these teeth come in improperly aligned or struggle to cleanly exit your gums as they erupt. This can make your wisdom teeth impacted between your jawbone and gums, which will, in turn, affect the alignment and health of surrounding teeth. If we see any of these problems coming, we’ll recommend getting your wisdom teeth extracted to avoid any issues before they start. Sometimes, jaw alignment is such a problem that it can cause not only aesthetic problems but functional ones as well. Even if the issue seems mild at the moment, we can project if the situation is likely to deteriorate over time. If so, we’ll recommend surgery to restore full jaw function and avoid any serious problems down the road. If Oral Surgery is needed our Oral and Maxillofacial Surgeon, will work in conjunction with your Dentist, Dr. Mark Laska to ensure optimum results and dental health is achieved. Please contact us for more information regarding oral surgery or if you would like to schedule a consultation today! We look forward to meeting you at our Mid Wilshire, Los Angeles location!